This to me is always the Mom card, that practical, down-to-earth individual, who nurtures you, no matter your age. And, I don’t care how old you are; we all need our Mother. This person does not need to be your birth mother, she can even be you, whether male or female. It is the personality traits which matter the most. Having that concern for the well-being of others, and providing to the best of your ability, regardless of economic status. There is something in the air right now; there have been several wonderful aspects lately, and tomorrow’s New Moon in Scorpio may very well be remembered as the best of the year. It will usher in the next twelve months of gifts from Jupiter, the great benefic. 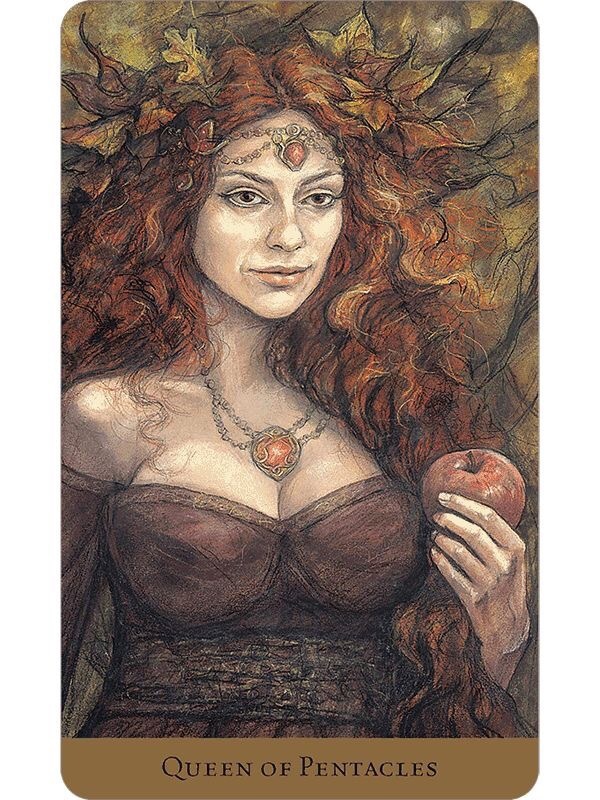 As for our Queen of Pentacles, well I can’t help but think she is representative of so many of you finding your way, especially financially now, to that comfortable place where you can feel secure. This Queen is savvy with her dollar, and can stretch that budget to make everyone feel special. There is a more secure feeling coming for you now; embrace it, and remain grounded. This entry was posted in Card of the Day, General Tarot, Love and Finance, Patreon, Readings, YouTube Videos and tagged Card of the Day, Guidance, Path, Queen of Pentacles, Reading, Tarot.